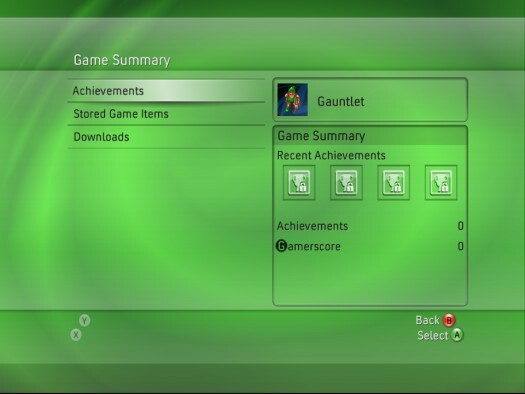 The Played Games page, shown in Figure 1, tracks the saves, downloads, and achievements you’ve made. Figure 1: The Played Games page tracks your progress. You can select games from the Played Games page and get more details; the Game Summary page is shown in Figure 2. Figure 2: The Game Summary page lets you dig deep into your history. 1. Navigate to the Games blade using the left analog stick. 2. Use the left analog stick to highlight Played Games, and then press A. 3. Select a game from your list, and then press A. 4. Select the Achievements item, and then press A. This brings up the blade in Figure 3, which shows the possible achievements for the game and your progress toward those achievements. 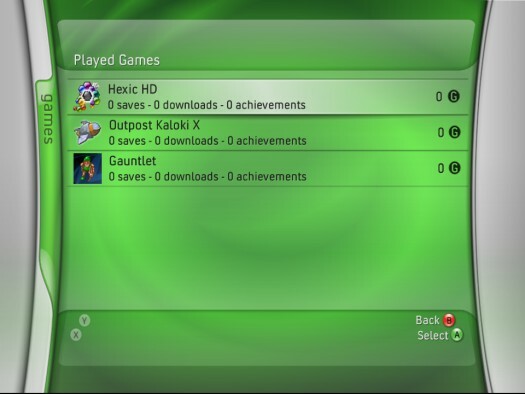 Figure 3: The possible achievements for Hexic HD on the Xbox 360. 5. Highlight an achievement, and then press A. Details appear. 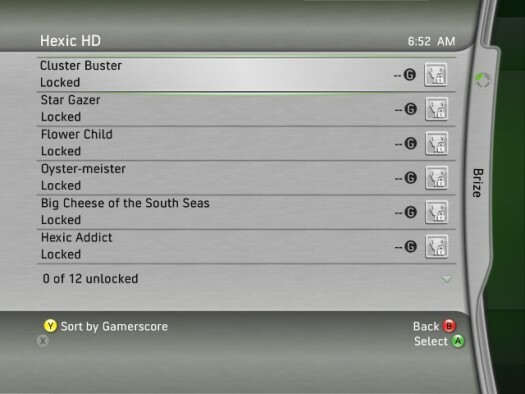 For example, the Achievement Description for Cluster Buster on Hexic HD informs you that 25 combos across all your games are required to unlock the Cluster Buster in the game. Pressing the Y button usually re-sorts achievements by score. For example, you can carry your game saves to a friend’s house on a memory unit and then copy it back to your hard drive when you get home. 1. Use the left analog stick to open the Games blade. The Game Summary page appears. 3. Use the controller to highlight Stored Game Items, and then press A. 4. Choose the game save location, and then press A. The game is usually on the hard drive, but you can also copy game content between memory units. 5. On the Hard Drive (or Memory Unit) page, highlight the Games item and then press A. The Select Profile page appears. 6. Choose the profile that contains the content you want to have copied, and then press A. The Select Game page appears. 7. Highlight the game, and then press A. The Game Content page appears. 8. Highlight the item you want to copy, and then press A. A screen like the one shown in Figure 4 appears. Figure 4: The Game page lets you perform an action with a game content item. 9. Choose the target for your copy, and then press A. At this point, your game is copied to the new location. If you want to get back to the Game Summary page, press B until you’re there. Some items can only be moved and not copied. For example, game profiles have to be moved because you don’t want them to get out of sync between consoles. If you want to carry your profile to a friend’s console, you need to move the profile to a memory unit and then move it back to your hard drive when you get home. 1. Copy your game to a memory unit. 2. Switch the hard drives in the console. 3. Copy the file from the memory unit to the hard drive. 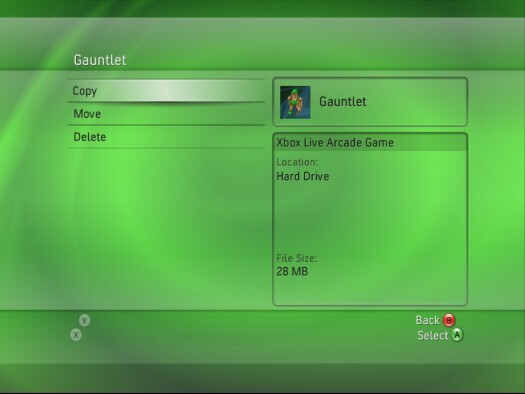 The Downloads item on the Game Summary page lets you download and manage items you’ve gotten from Xbox Live Marketplace. You’ll need to log in to Xbox Live before you access the content on this page.